We pride ourselves on completing projects on time and on budget. To do that sometimes we need more than a talented crew of humans. 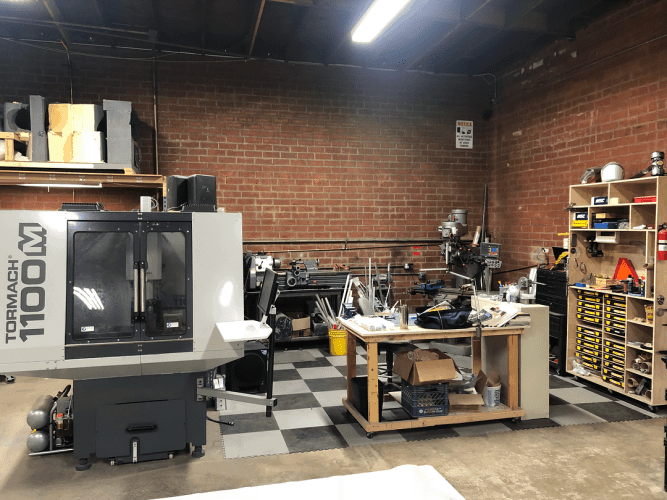 Thingergy’s facilities are 10,100 (14,100 technically) square feet jam packed with really awesome pieces of equipment that are specialized, unique, and help us complete projects faster and just might be of use to you. We also offer Production Services if you are looking for some extra resources to complete a project. Thingergy balances traditional craftsmanship with technology and specialized tools. We are constantly improving and adding new equipment and technology. One of our newest and coolest additions to Thingergy is our 360 degrees 3D Staramba scanner. Step in, and 80+ DSLR cameras snap away, step out and in about 3 minutes you are done. We take care of the rest to turn all the images into a 3D model that can be used for a multitude of applications. Maybe you just want a 3D printed version of yourself or you need custom equipment or costume made to a actors body and need precise measurements. This is also great for capture clothing items to be displayed in 3D on other applications or preserving historical 3-dimensional artworks in a digital landscape. Lots of PEW PEW PEW! Our Universal Laser can do the dirty work of cutting intricate pieces in bulk, plowing through precision cuts, and even etch substrates. 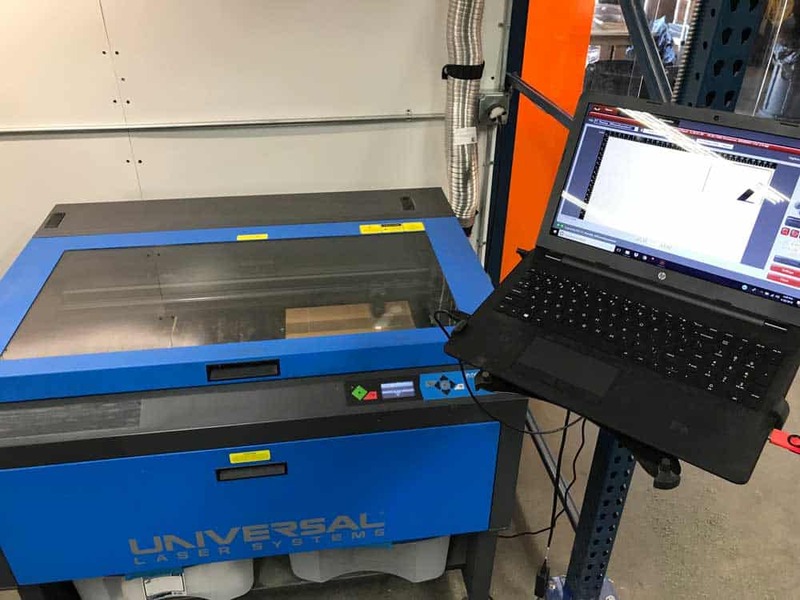 Most materials can be used in the laser such as composite materials, foams, glass, ceramics, metals, natural (organic and inorganic) materials, papers, plastics, latex rubber, silicone rubber, neoprene, Nylon, polycarbonate, ABS plastic, and fabrics. Metal glitter is the best glitter. 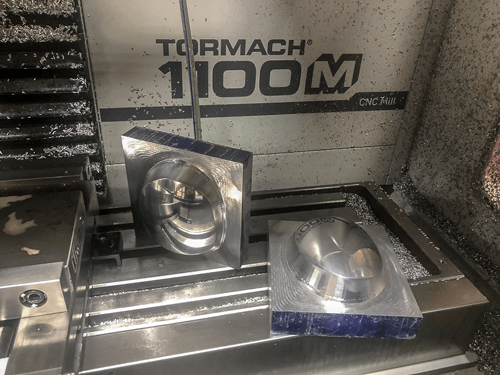 The Tormach 1100 that lives in our machining and milling area can tackle almost any material you would need to be formed into a specific shape or part. Wood, aluminum, plastic and even titanium are easy for us to create any part you would need. This 4 axis mill makes short work of any production piece. The large bed CNC Router Parts CNC Table can be used for wood, metal, foam or several other materials. We can even cut metal sheeting using our plasma cutter for signs, or templates. Creating custom mannequins or foam body forms from 3D models are always handy for making precision costumes or armor. Maybe you need to make some giant wooden bases for 14 ft tall robots….these are some prime examples of things we can accomplish here at Thingergy. Casting parts, especially very large parts, can be difficult and downright dangerous if you aren’t careful. Our giant roto-caster has a 2ft square capacity and is able to make light work of difficult casting jobs. We have a small army of industrial sewing machines, including a super heavy duty Juki with a walking foot, overlock machines, straight stickers and more! Vacuum forming is a great way to replicate a product multiple times. It’s also used in creating visors and domes for space suits, specific costumes or any other application. Our large bed vacuum forming table is ideal for creating large pieces. Custom bobble? Specific metal doohicky? Intricate fiddly bit? Little greeblie? We can do that. Our machining department is stocked full of all types of metal eaters. Our Bridgeport lath and machinist mill can help create any specific detailed part down to the finest detail. We have welding equipment and certified humans who know how to operate said equipment. 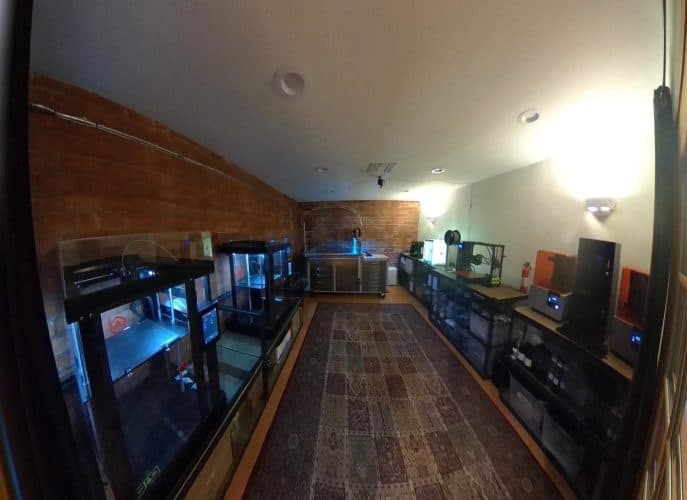 The “Sauna” aka the 3D printer room houses 11 3D printers including the 1 meter x 1 meter large format 3DP Platform Printer. Dedicated spray paint booth coming soon! We have recently acquired an additional 4,000 square feet of shop space and will soon be installing a dedicated spray booth. Clean, dry, air… LOTS OF IT. 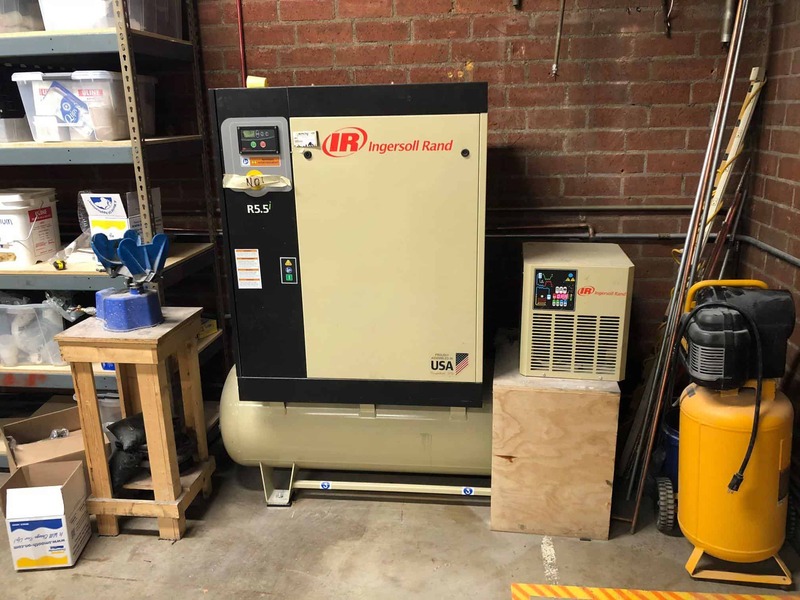 Our Ingersoll Rand Oil-Free Rotary Screw Air Compressors is the beast behind all the fart saws, paint guns, nippers, and just good ol’ air blowin’.